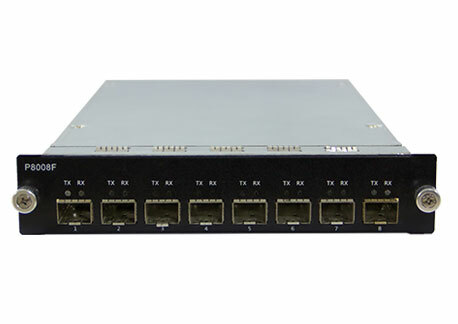 P8000 Series Test Modules deliver professional network testing functionality on BigTao series test platform with high performance and availability. P8000 series are specialized developed for comprehensive and automated testing of networking devices on production line, providing the best cost-effective testing solutions on 2nd Layer protocol testing and analyzing. P8000 series provide low cost testing solutions on BigTao platforms and meet test requirements of all kinds of networking devices in each stage of R & D, experiment , quality control, performance monitoring and production line. With support of the basic test application--TeleExplorer, P8000 series provide a full IPv4/IPv6 stack. 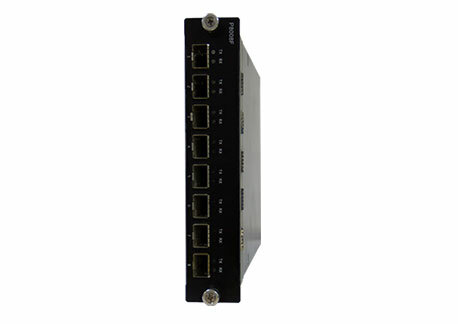 Each port can generate 64 streams with independent configurations and statistics. With support of the specialized automation test application--TeleATT, P8000 series deliver a fully automated testing solution which support asynchronous test for multiple DUTs. P8000 series provide the test mode of aggregation, eachother and loopback with a variety of frame patterns such as Random length, Alternate length, and Fixed length. P8000 series are supported in high performance chassis of BigTao200, BigTao6000 and BigTao12000, providing accurate chassis-to-chassis synchronization. ●Support stream template as layer2, ipv4, ipv6 , TCP, UDP, ICMP, IGMP and ARP. Each stream is capable of generating packets of IPv4, IPv6, TCP, UDP, TCP6, UDP6, Ping, IGMP, ARP, etc.